This is one of the best tasting crusts you will find. 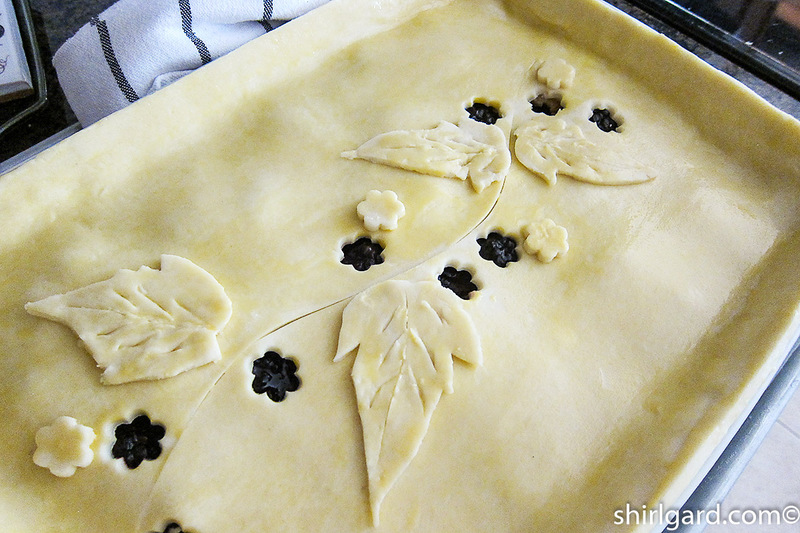 It is also an easy dough to work with, not finicky at all, because I know how we all hate temperamental pie dough. 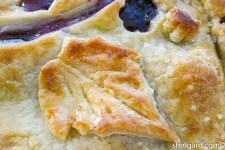 I developed this recipe to go with my Blackberry Cobbler, but it is great with any fruit or berry pie or cobbler. 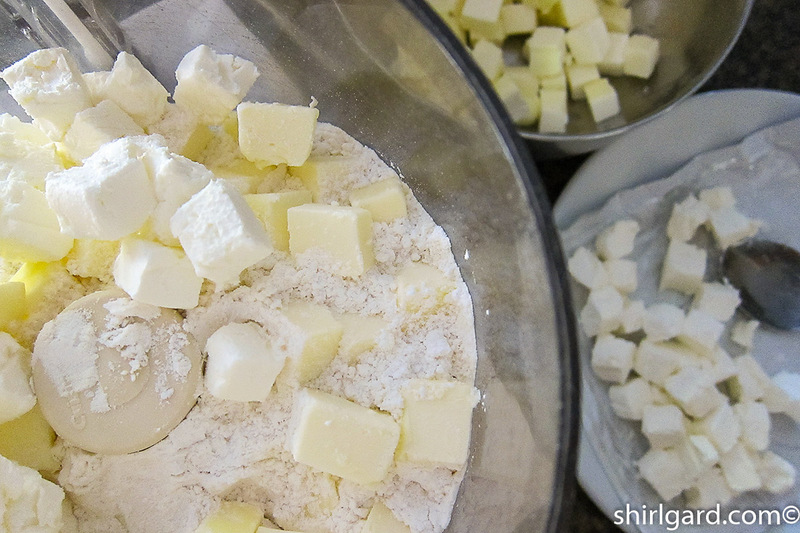 Mix half the recipe at a time in the Food Processor, until you have pea-size pieces of cold butter in the flour mixture. Put both batches in the Kitchen Aid (or other) mixer, add the heavy cream and lemon juice. Mix on low speed just until the dough comes together. Transfer to counter to finish dough. 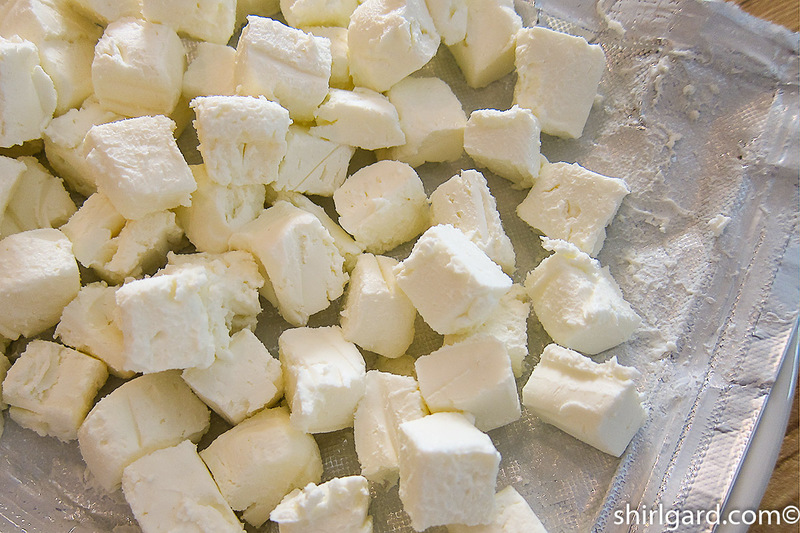 1/2″ (12 m) cubes of Cream Cheese. Food Processor: One batch at a time. Rough dough right out of the mixer. Half the dough shaped into a smooth disk: 6″ (15 cm) diameter x 1″ (2.5 cm). 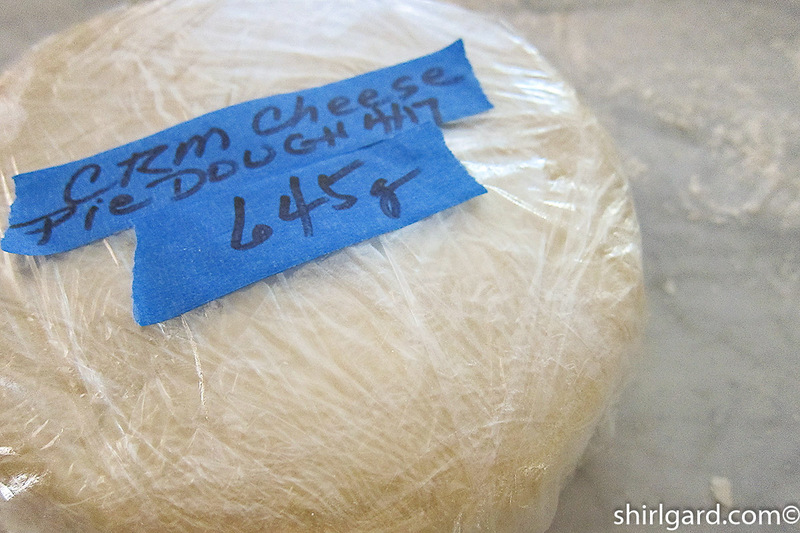 Disks of dough wrapped for refrigerator. 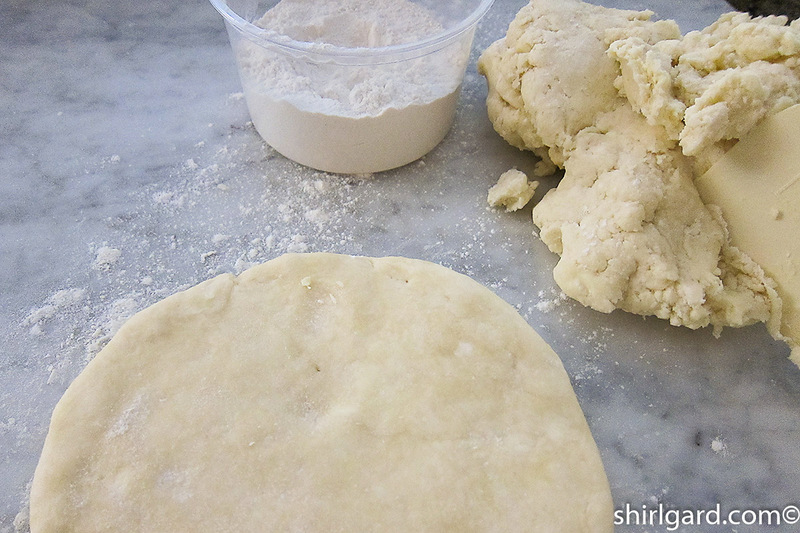 Rolling out dough 4 mm; just a little thicker than 1/8″, for a cobbler. 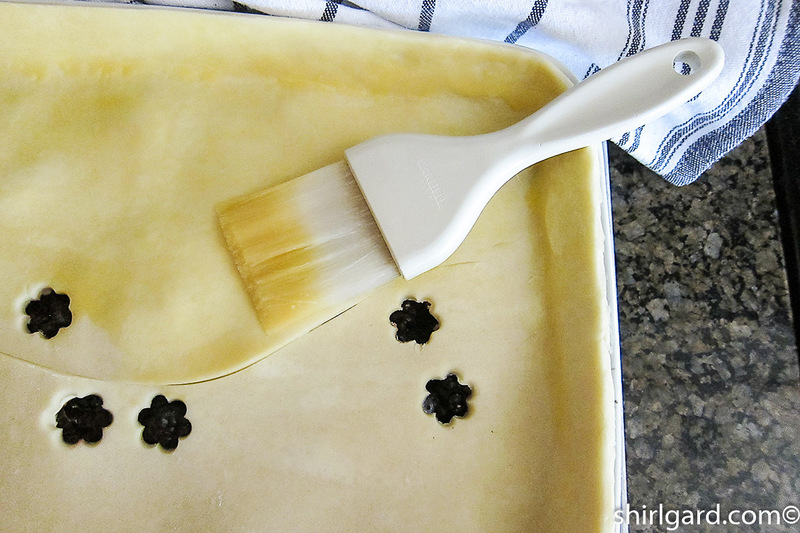 This is a smooth, creamy, tender, and delicious pie crust. It is best served warm or at room temperature, because the fat in the butter and cream cheese makes it very firm right out of the refrigerator. 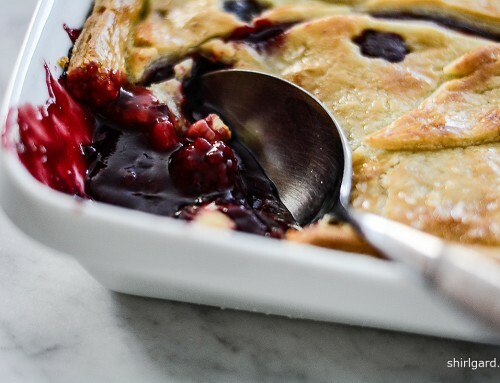 I especially like it for fruit cobblers and pies. 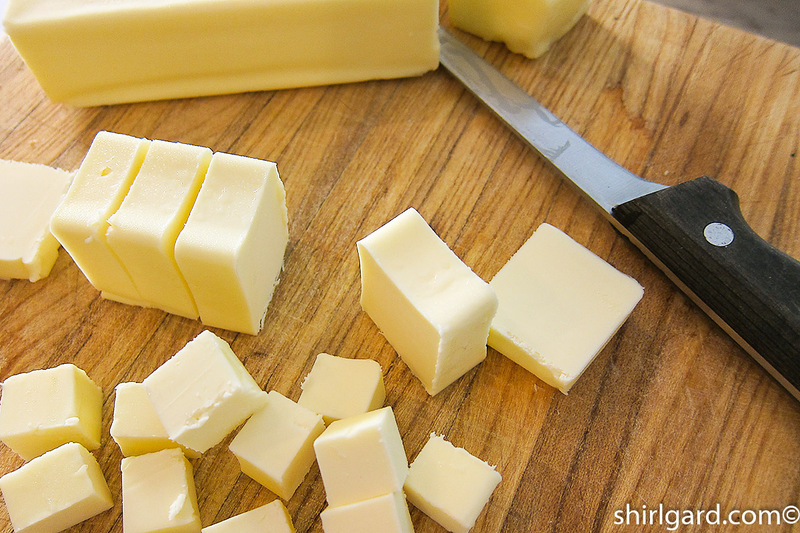 FOOD PROCESSOR METHOD: CUT the butter in ½" (12 mm) cubes. Freeze. 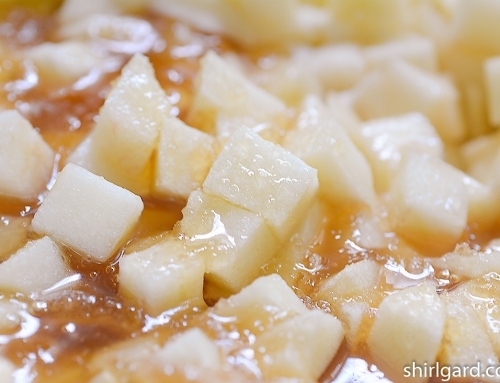 CUT the cream cheese in ½" (12 mm) cubes also. Chill. 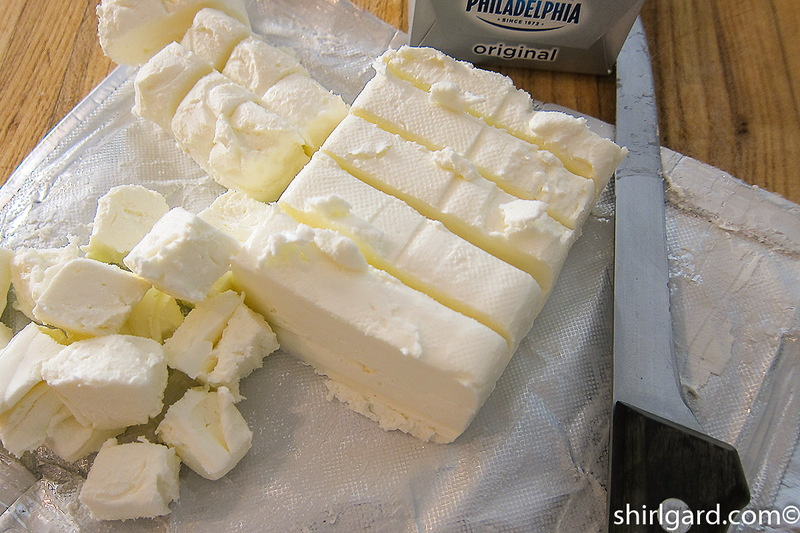 Do not freeze cream cheese because it ruins the texture. 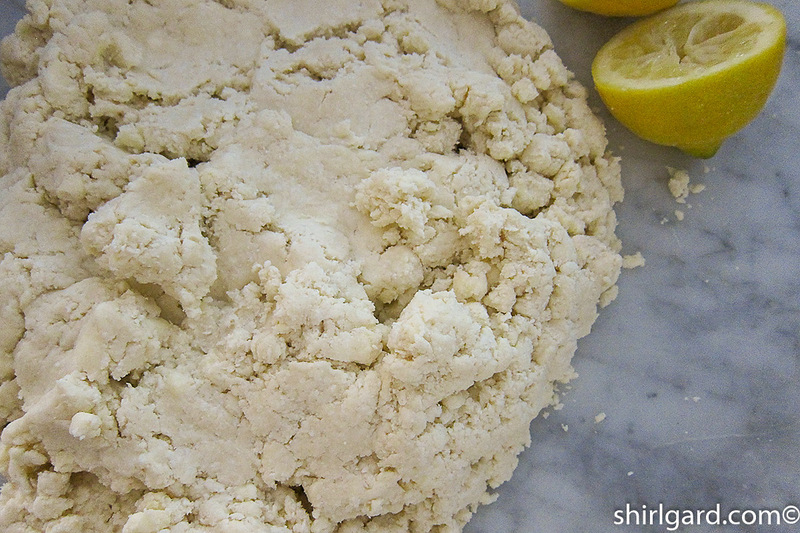 COMBINE flour, salt, and baking powder; whisk to blend. 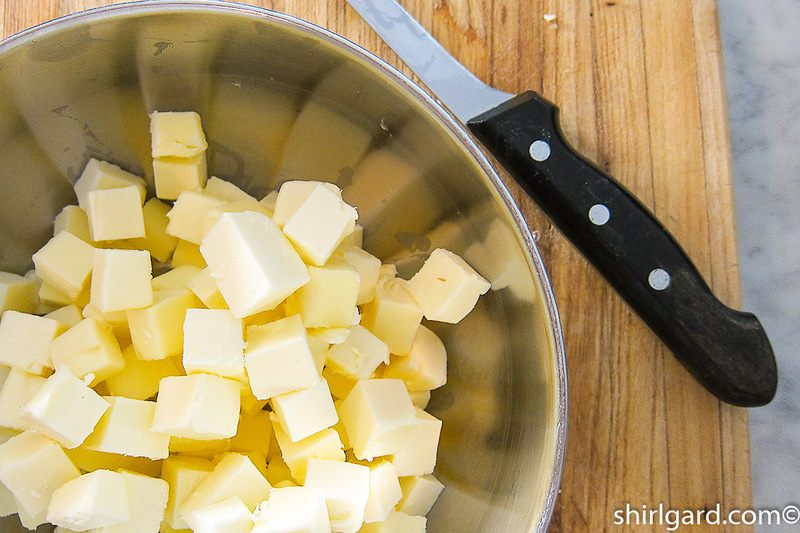 DIVIDE the butter, cream cheese, and flour mixture roughly into 2 portions. 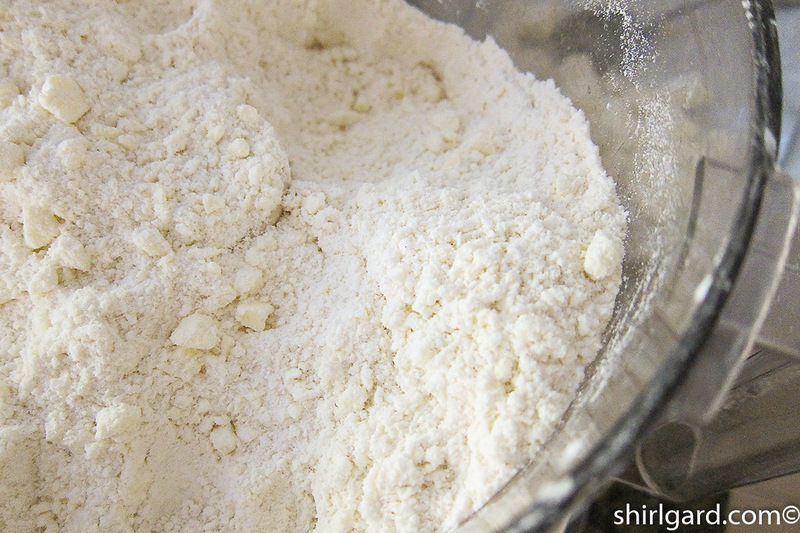 PROCESS in food processor in 2 batches: For each batch, place the flour mixture in bowl of processor and pulse to combine. Add the butter and cream cheese and process by pulsing, until the mixture resembles coarse meal and some of the butter pieces are the size of small peas. 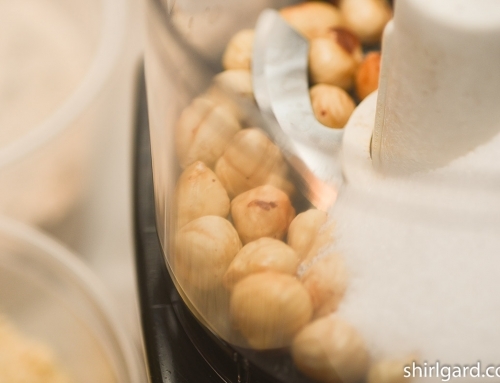 TRANSFER each batch to a mixer bowl, such as Kitchen Aid, fitted with a paddle. 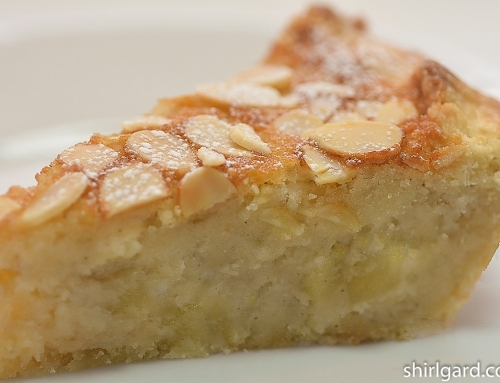 When both batches have been processed, add the heavy cream and lemon juice. Mix on low speed just until dough comes together. 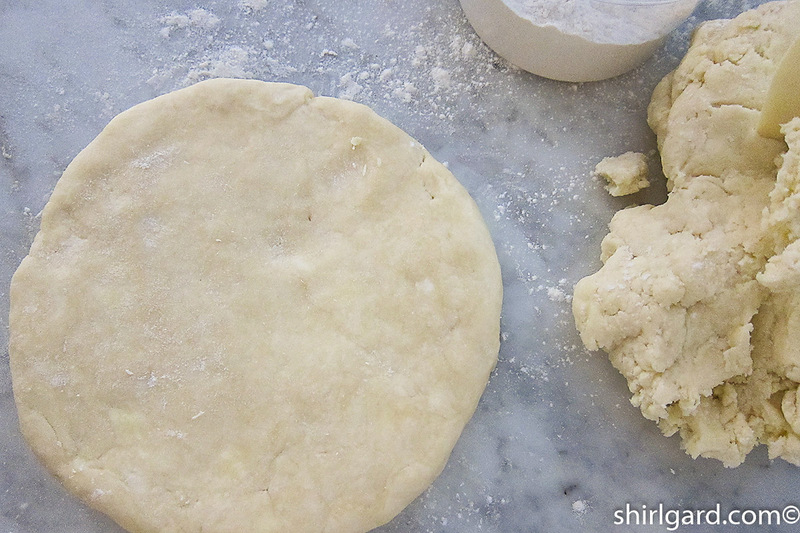 Turn out onto counter and press dough together. DiIVIDE dough into two portions: 645g 22 oz (1# 6 oz) each. Form into a compact disk about 6" (15 cm) in diameter x 1" (2.5 cm) thick. 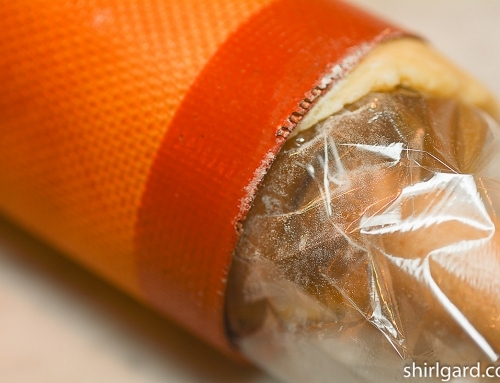 Wrap tightly in plastic wrap and chill until firm before using. FREEZE, for up to 2 months, until needed. 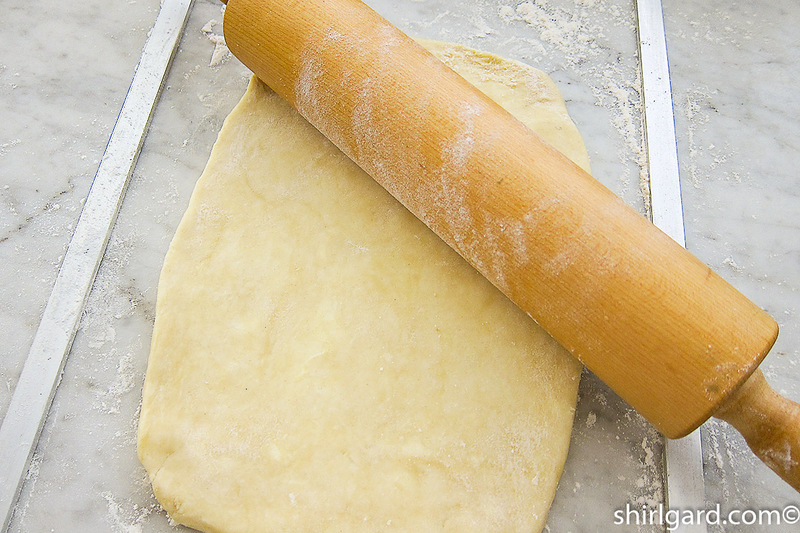 ROLL & BAKE according to your pie or cobbler recipe. Recipe Adapted from: "Flaky Cream Cheese Pie Crust" in The Pie and Pastry Bible by Rose Levy Beranbaum (1998). Note: there is a later edition of this book. I was also inspired by an article in Fine Cooking June-July 2004 by Rose Levy Beranbaum called "Making Lattice-Top Fruit Pies". I know. This is a tasty crust. Thanks for sharing on fb.